Adventure for two in Mexico! The winning team at the 2019 Victory Fishing Events Championship to be held on Saturday, October 26, 2019 at a mystery lake. To qualify for the 2019 Victory Fishing Events Championship, finish in the top 50% points standing on one lake series or accumulate 100 Points during the 2019 season. Each team will receive one entry into the drawing every time you enter into a Victory Fishing Events Team Bass Tournament! The more you fish the more entries into the drawing you will have to increase your chances of winning! 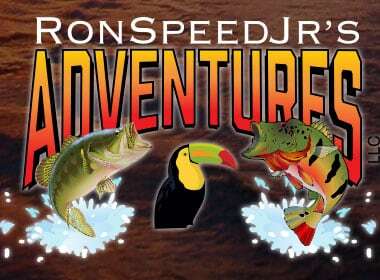 Ron Speed Jr’s Adventures has been taking anglers on fishing adventures for 31 years! Call Ron Speed Jr’s Adventures to book your adventure today!